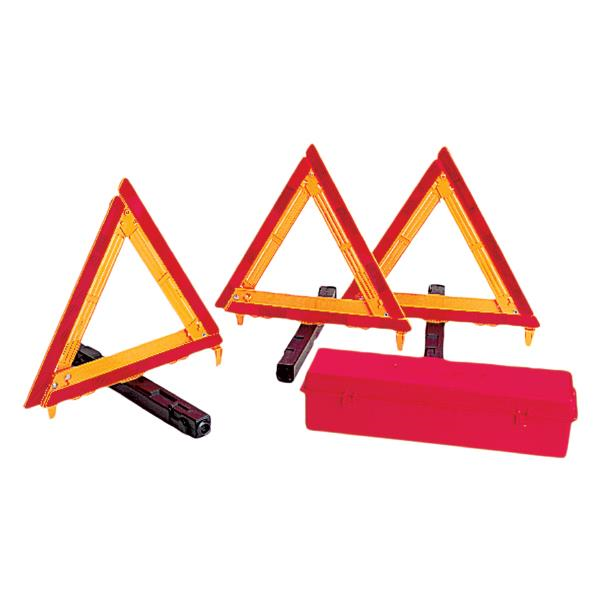 Reflective plastic triangles are designed to stay where they are put even in high wind. Triangles meet or exceed FMVSS 125 and all applicable DOT standards and all state requirements. They feature quick snap-lock set up, 360 degree rotation, and non-skid rubber feet to keep them in place. Kit includes three folded triangles and a heavy-duty plastic case.